I thought that since I am always asked “How do you get that look” or “How did you do that” I would share with you my signature look and how to achieve it. I believe that it was my fellow Crystal Culture Educator, Undarmaa Baasandorj, that did this technique while we were in Rhode Island. I simply fell in love with it! The technique involves two very imperative products. High quality Swarovski® Crystal Pointed backs. You can use any size as long as it fits tightly into the curve of your nail. 2. Bling On from Akzentz. 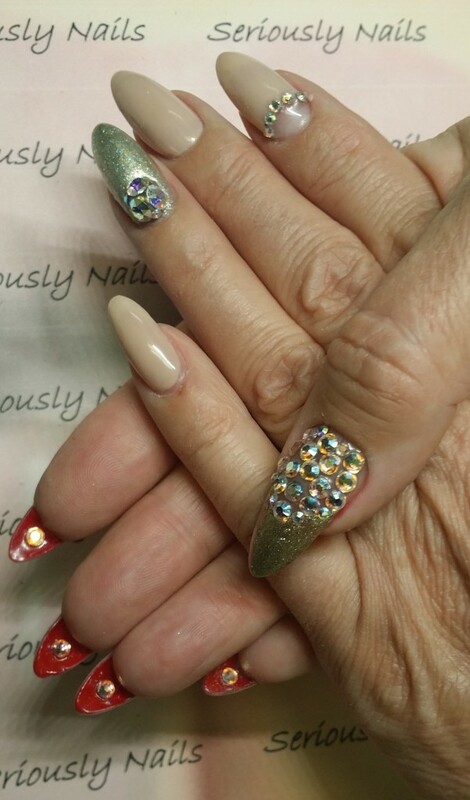 Bling On is a highly viscous clear gel that you set your crystals in. The best part about Bling On is that it is a soak off gel. 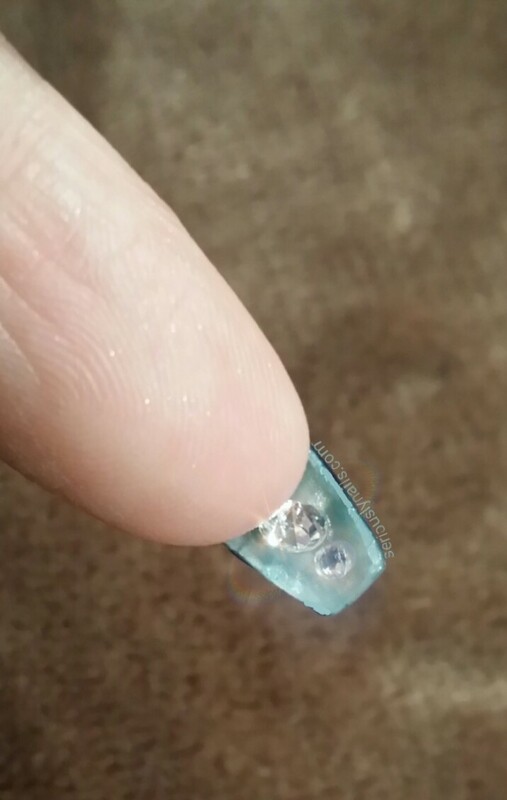 Meaning that you can soak off the gel, remove your lovely Swarovski® Crystal and re-use them at a later date. 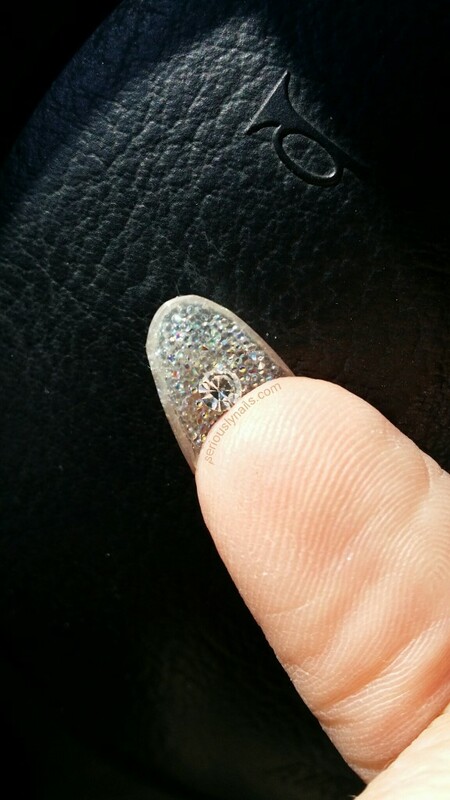 I place a bead of Bling On under my nail (clean and dry of course) the size of the back of the pointed back. I use my Crystal Katana to pick up my pointed back and place it in the gel just forward of where I want it to end up. I do this so that I can push the crystal backwards to but up against the skin of my nail. Cure this and look to see if I need any more Bling On to firmly secure the crystal. Once I am happy with that, I use a fine brush to rim the crystal in clear Gel Top Coat. This one is a little more intracite with the addition of Swarovski® Crystal Pixie in Cute Mood. Unfortunately, Cute Mood is sold out until mid/late March from the manufacturer.